I love the delicate elegance of your pictures. 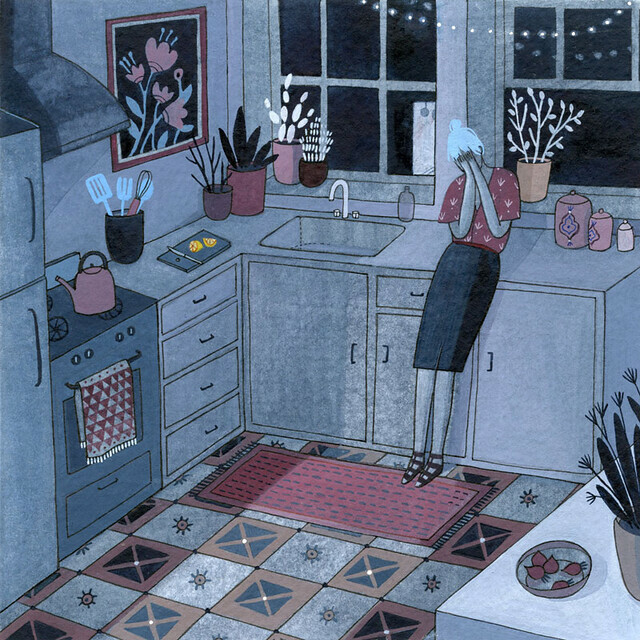 Melancholy at it's best:) P.
What a lovely illustration, adore it! Ah it's so nice to see how you built it all up. (I agree with the others, thanks for sharing the process!) And I love the sad blue hair.